This card tells you to “seize the day”! 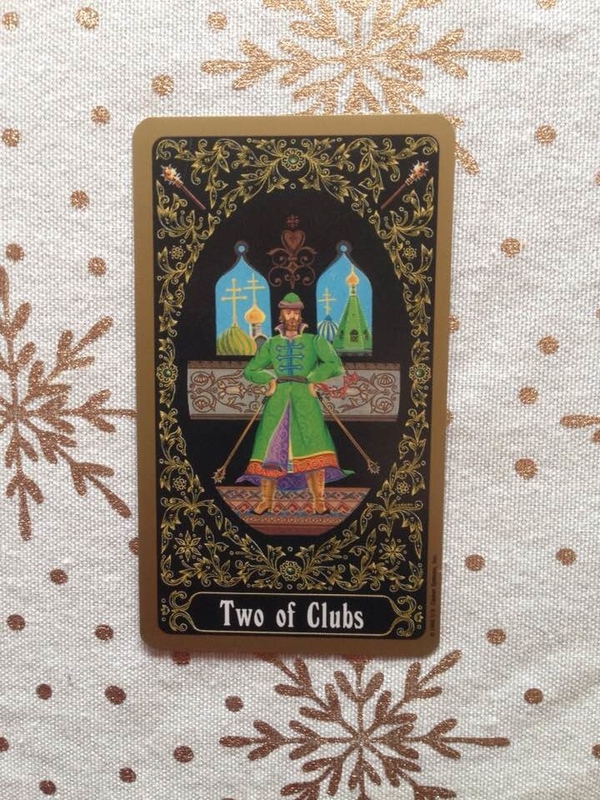 The Two of Clubs, or Wands, is all about combining your personal power with a daring attitude in order to achieve what you want. It’s about being sure of yourself and taking the initiative. If you’re facing a difficult, contentious situation today, be assured that you’ll sail through it with flying colors as long as you stand up for yourself and speak your mind clearly. If you’ve been considering starting a new business or project which is different from the usual, this is a great day to do it. Today’s energy favors those who are innovative thinkers and risktakers. You might also be weighing the idea of moving to another state or country in order to pursue your dreams. If so, spend today researching and inquiring into the possibilities. You’re likely to find some great leads that will move your closer to your goals.